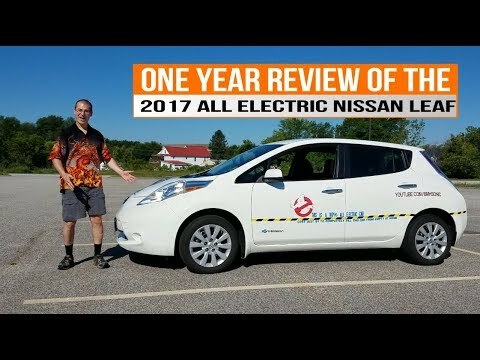 The Nissan Leaf is a practical, easy-to-drive and relatively low-cost electric vehicle that's been improved for 2017 with enhanced driving range across the board. But with the all-new Chevrolet Bolt now its archrival, Nissan's battery-powered car is eclipsed by the Chevy's far superior range (238 miles vs. 107), newer technology, and roomier interior. The Nissan leaf is a very quiet car. It give you the feeling of a Lexus. Nissan leaf is a great car but the battery is a little too small for an electric vehicle. Other manufacturers have bigger batteries. It limits my travels. The car really works well on the road and it does feel like an expensive car. I find the car performs best in traffic. I find the seats very comfortable. The sound system is limited but I do not listen to music very much. I find the GPS system to very useful for electric vehicle. It helps to navigate to recharging stations and helps to get us to out destinations. I feel comfortable in the car. Lots of perks and saving the planet! Very reliable and comfortable car. I love not using gas! I also love that it has seat warmers and a heated steering wheel. I can set a timer for when to charge it and when to have the climate control come on in the morning. I do not have a garage so it is great to walk out to a car that does not need its windows scraped in the winter. Fun and tech savvy Nissan leaf. No problems, performs great, extremely reliable and very comfortable. Has all of the technology I need and enjoy. I love that I plug it in at night and in the morning it is ready to go. The single gear is also a great feature with instant acceleration which makes it extremely fun to drive.